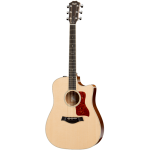 This cutaway acoustic/electric Grand Auditorium blends layered walnut back and sides with a solid Si..
Taylor's 100 Series makes a great guitar-playing experience accessible to everyone with these real w.. 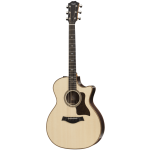 The Taylor 150e 12-string acoustic-electric guitar delivers Taylor's signature playability and tonal..
Just starting out on guitar? Taylor Academy Series acoustic guitars get you in on the ground floor w..
Taylor's Academy Series A12e, with a compact Grand Concert body, makes the perfect companion for fin..
Over the past four-plus decades there’s a resounding theme from Taylor Guitars: passion for improvin.. 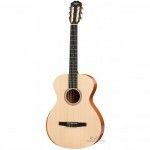 This addition to the popular GS Mini family features layered walnut back and sides paired with a sol.. 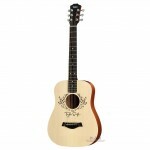 The Baby Taylor has maintained is a legitimate musical instrument that anyone can enjoy, and also a ..
Taylor Swift reminisced of her early days writing songs out of her own Baby Taylor, and went on to c..
An absolute ideal travel guitar out there, without sacrificing any reputation in craftsmanship and t.. 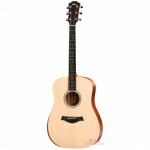 Combine time-tested acoustic design and a natural-sounding pickup system, and you've got the Taylor ..
One of the alluring traits of a nylon-string guitar is the way its tonal character can instantly cha..
Taylor went back to the drawing board to give the 714ce-N nylon-string acoustic-electric guitar a st..
With dreadnought power, rich mid-range, access to the upper register and the Taylor Expression Syste.. 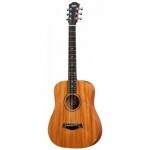 There's something undeniably inviting about the Taylor GS Mini's scaled-down size, yet a single stru..
Baby Mahogany This mahogany-top edition of the Baby Taylor will yield a slightly darker, earthi..
An Acoustic-electric Big Baby! Taylor's Big Baby Taylor-e acoustic-electric guitar is the perfect.. 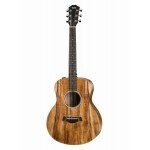 The Taylor 114-E Grand Auditorium Acoustic-Electric Guitar will change your expectations about wha.. 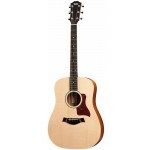 The full-sized, solid spruce top and sapele-body of the Taylor 110e Dreadnought Acoustic-Electric ..
An exquisite model that's as versatile as it is beautiful. 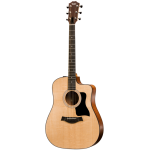 The Taylor 914ce Grand Auditorium Cuta..
A Natural Choice for Studio or Stage Work Combine time-tested acoustic design and a natural-sou..
Special undersaddle electronics make this dreadnought a dream for performers who live on the pickin'.. 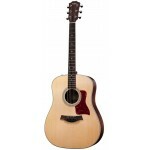 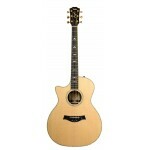 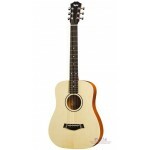 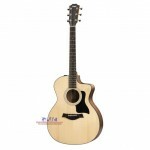 The Taylor 814ce is a Grand Auditorium Cutaway Acoustic-Electric Guitar gives you amazingly warm, .. 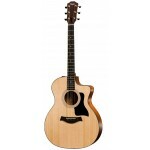 The Taylor 714-CE Grand Auditorium Cutaway Acoustic-Electric Guitar combines the full-bodied sound..
With the Taylor 614-CE Grand Auditorium Cutaway Acoustic-Electric Guitar the bold sounds of big le..
A Western red cedar top brings extra warmth and responsiveness to the popular mahogany Taylor Gran.. 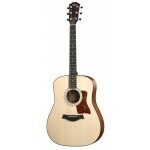 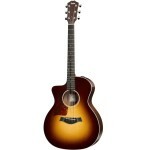 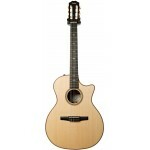 The Taylor 414-CE Grand Auditorium Cutaway Acoustic-Electric Guitar has flawless intonation all th.. 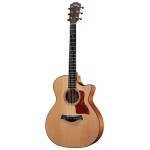 The Taylor 314-CE Grand Auditorium Cutaway Acoustic-Electric Guitar is a beautiful classic that si.. The Taylor 312-CE Grand Concert Cutaway Acoustic-Electric Guitar is easy to hold and always fun to..
Taylor's 214E-G Grand Auditorium acoustic electric guitar features a desirable gloss finish that y..
Taylor's 214ce Grand Auditorium Acoustic Guitar features a desirable gloss finish that you'll take..
From Taylor guitars comes a guitar you'll take a shine to. 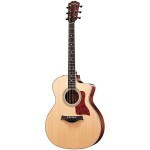 The 210E-G dreadnought acoustic-electri..
From Taylor guitars comes a guitar you'll take a shine to. 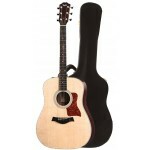 The Taylor 210CE-G dreadnought acoustic.. 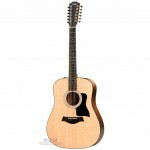 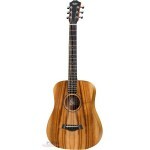 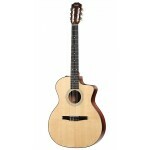 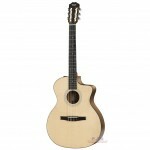 The Taylor 114ce is a grand auditorium sized acoustic-electric guitar that will change your ex.. The Taylor 110ce is an acoustic-electric guitar from the 100 series. A full-size Taylor, this drea..